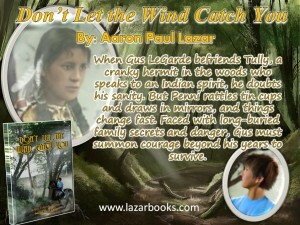 Have you ever felt as though your life has been cursed, that whatever can go wrong will? What if there is such a thing/person/whatever that casts curses on a person or even a whole nation? A scary thought, right? It may just be possible. 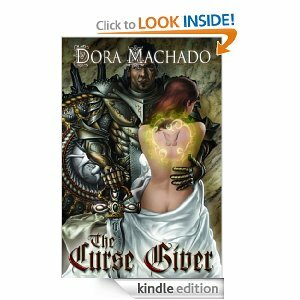 Award Winning Author Dora Machado’s latest fantasy novel, THE CURSE GIVER, deals with curses, betrayal, trust, family loyalty, and love. Lusielle, on the brink of death by being burned alive because her husband turned her in as a practitioner of forbidden arts, is rescued by Lord Brennus, a highborn. He has ulterior motives for saving her life, however. Lord Bren (Brennus) has been cursed to die a horrible death. To save himself and his people he must find the woman with a special birthmark and kill her. Lusielle has that mark, and she also may be the only one who can defeat the curse giver and give Bren hope. The author has created characters with good points and bad, like real people. They seem realistic for the time period they live in. 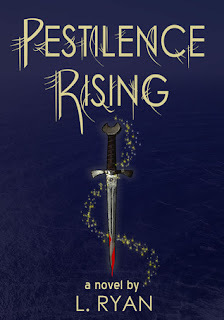 Lusielle faces her uncertain future with bravery and cunning, surprising Bren more than once. I found myself hoping that Bren would change his mind about killing her. No, I’m not saying what happens between them. You’ll find out when you read the book. Minor characters, and there are a lot of them, add to the suspense and conflict of the story, making the reader, this reader anyway, anticipate their next actions. Thankfully, the author provides a glossary at the end to help keep track of the characters. THE CURSE GIVER should appeal to fantasy lovers and to readers that enjoy a battle or two with swords swishing. And for those that like a good romance, you might just find it here. Dora Machado has written another winner, so pick up a copy or add one to your eReader and spend the evening, lost in another world. 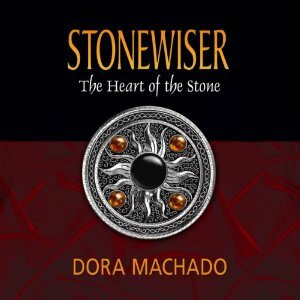 Dora Machado is the award-winning author of the epic fantasy Stonewiser series and her newest novel, The Curse Giver, available from Twilight Times Books, July 2013. She grew up in the Dominican Republic, where she developed a fascination for writing and a taste for Merengue. After a lifetime of straddling such compelling but different worlds, fantasy is a natural fit to her stories. She lives in Florida with her husband and three very opinionated cats. For a free excerpt of The Curse Giver, visit http://twilighttimesbooks.comthingsTheCurseGiver_ch1.html. Here is a new, unique and delicious review of The Curse Giver by Bibliotica.com. And to think that sharp cheddar cheese is my absolute favorite…. I’ve read that Ms. Machado is bilingual, having grown up in the Dominican Republic, and I think some of the charm of The Curse Givercomes from her – probably unconscious – Spanish-influenced rhythms. It’s nothing you could point your finger to and say, “Look, that’s not typical English phrasing,” but a quiet undercurrent that makes the writing really SING. It’s my pleasure to share with all of you this beautifully written review of The Curse Giver by Mayra Calvani, posted at Blogcritics.com on Sunday, July 21, 2013. Intrigue, romance and adventure await you in Dora Machado’s latest fast-paced, plot-twisting fantasy, The Curse Giver, just released by Twilight Times Books. The story begins with our innocent healer heroine, Lusielle, as she is about to be burned on the pyre after she’s sentenced to death for a crime she didn’t commit. But just as the flames are about to engulf her, a mysterious stranger on a horse storms through the crowd and rescues her. Brennus, Lord of Laonia, is tormented by the curse that has destroyed his people. To undo it, he must kill Lusielle in the most vicious of ways, for she is the one who bears the mysterious birthmark. Lovers of dark romantic fantasy will relish The Curse Giver. 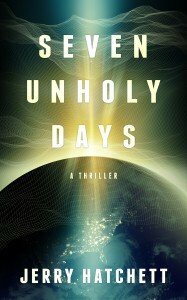 This was a wonderfully entertaining, absorbing read. The stakes are high, the conflict compelling, and the sympathetic hero and heroine will make you fall in love with them. But the best thing about the novel is the writing itself. Lyric at times, Machado’s prose flows beautifully throughout the pages, bringing to life her fictional world in full, vivid detail. The Curse Giver is a memorable adventure for fans of fantasy and one I can certainly recommend. Find out more on Amazon or from Twilight Times Books.